Sun Valley was the very first ski resort in the United States, and from the day it opened in the winter of 1936 it was an instant success. So marvelous was Sun Valley that it became known as “the American Shangrila”. 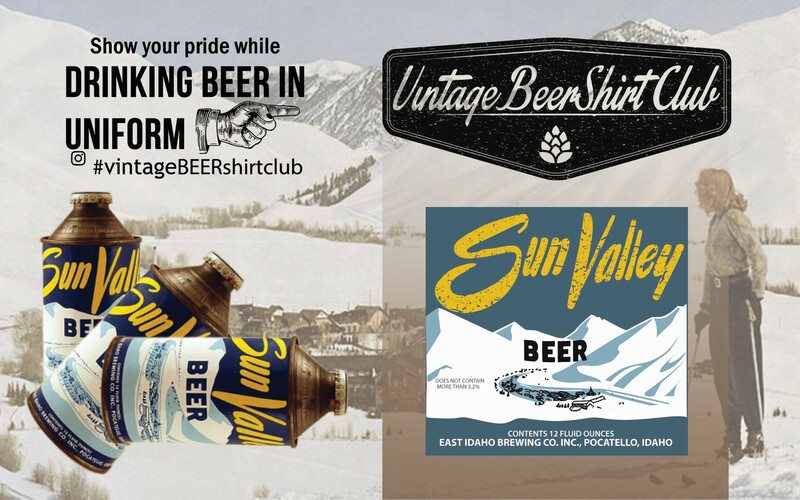 It wasn’t until 1953 that the East Idaho Brewing Company of Pocatello, 190 miles southeast of the fabled resort, introduced Sun Valley Beer in cone top cans and in stubby and long-necked bottles. Like many small older breweries across the nation, East Idaho Brewing had a long history and multiple pre-Prohibition incarnations. From 1902-1904, for example, it was operated as the American Brewing Company, and from 1904-1913 as the Franklin & Hayes Brewing Company. 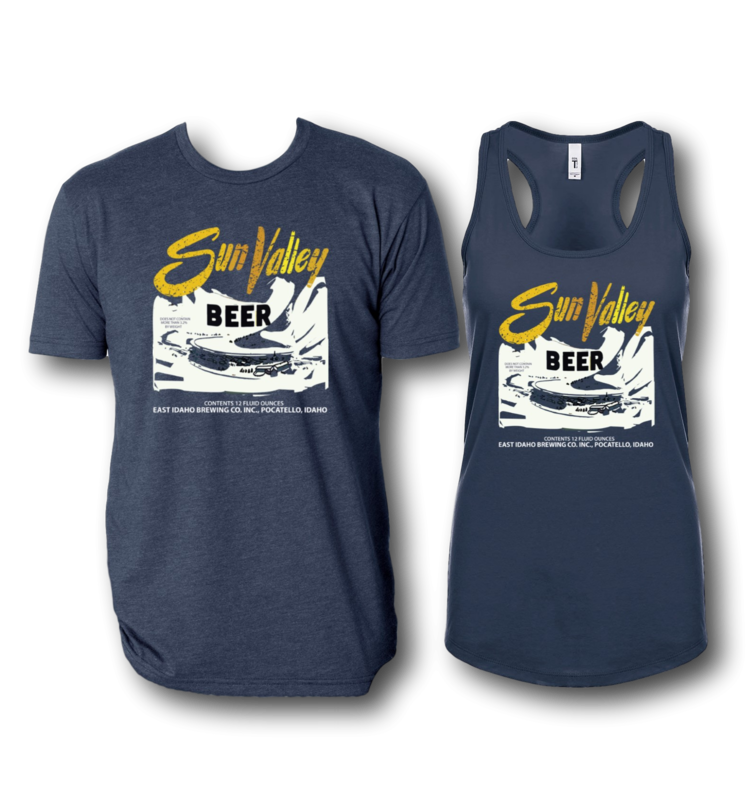 The brewery emerged from the long, dark dry spell of Prohibition as East Idaho Brewing and was operated at least for a while by Columbia Breweries, Inc. of Tacoma, WA. East Idaho churned out nearly a dozen brews over the next 19 years, including Alt Heidelberg, Idallo, Aero Club and Pioneer Club, all in bottles. 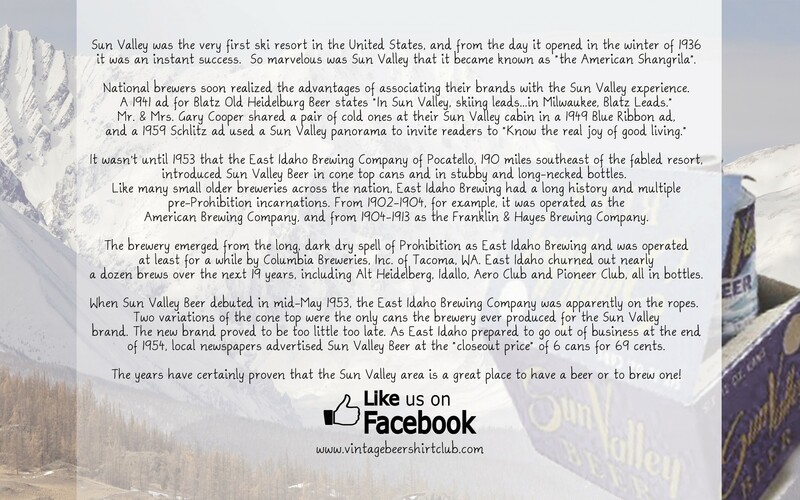 When Sun Valley Beer debuted in mid-May 1953, the East Idaho Brewing Company was apparently on the ropes. Two variations of the cone top were the only cans the brewery ever produced for the Sun Valley brand. 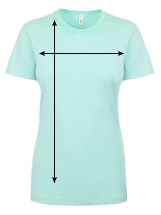 The new brand proved to be too little too late. 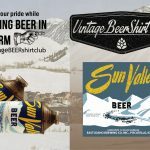 As East Idaho prepared to go out of business at the end of 1954, local newspapers advertised Sun Valley Beer at the “closeout price” of 6 cans for 69 cents. 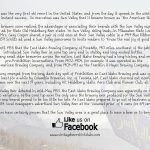 The years have certainly proven that the Sun Valley area is a great place to have a beer or to brew one!